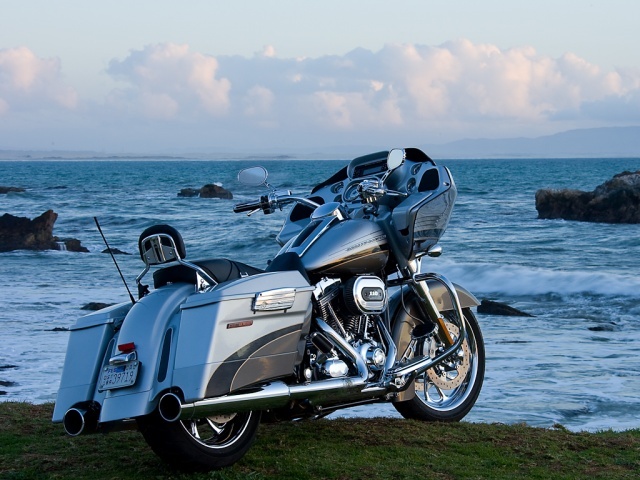 The stunning 2009 CVO Road Glide at Sunset in Pismo Beach. 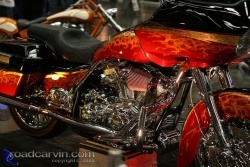 Photo by Kevin Wing. 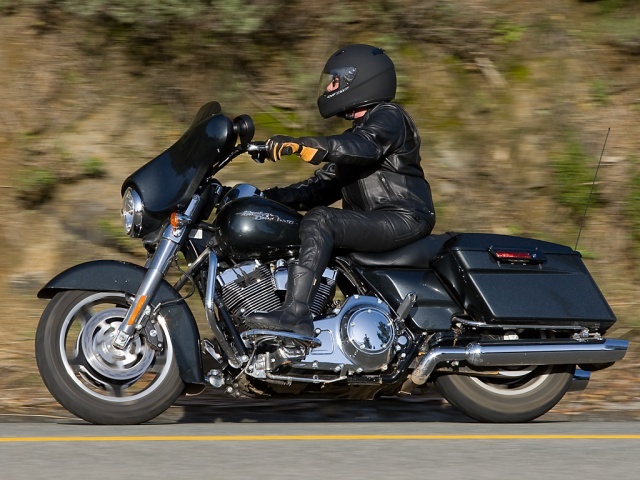 Group shot featuring the 2009 Harley-Davidson Electra Glide Standard. Photo by Kevin Wing. 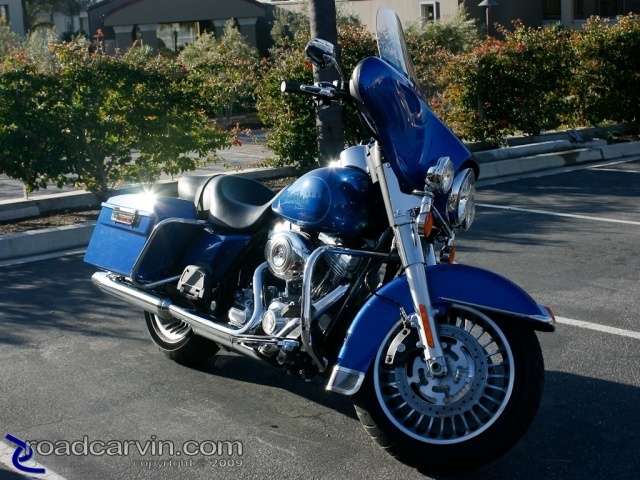 Electra Glide Standard painted Flame Blue Pearl glistening in the morning sun. 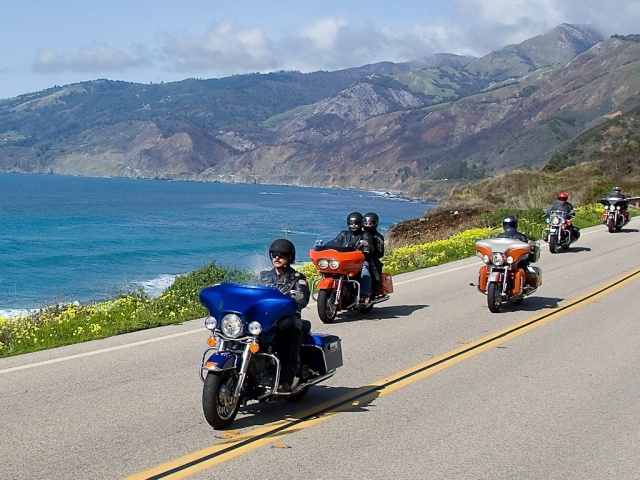 Riding the 2009 Harley-Davidson Street Glide on scenic Highway One in Big Sur, California. Photo By Kevin Wing. 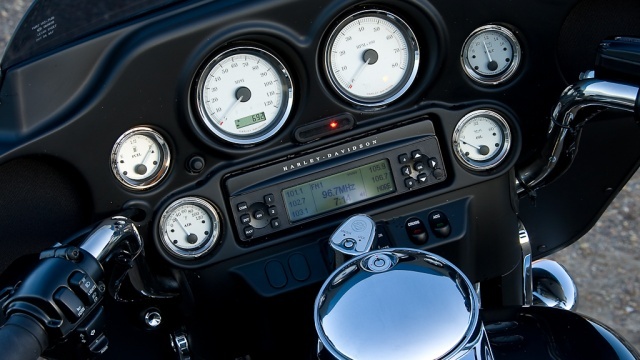 2009 Harley-Davidson Street Glide gauge and audio package. Photo by Kevin Wing. 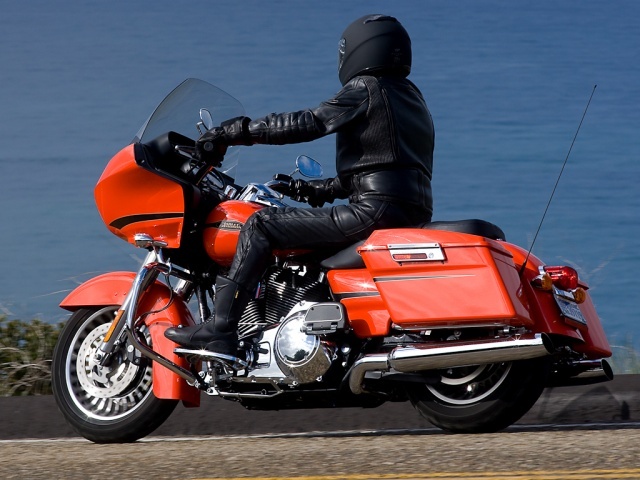 The 2009 Harley-Davidson Road Glide in Mirage Orange Pearl with the Pacific Ocean in the background. Photo by Kevin Wing.